Click the Deal Link and Print that page and then bring a friend to any Costco Membership Counter in Canada by September 3, 2017. When your friend signs up for a new Costco membership, present this page to the membership clerk. 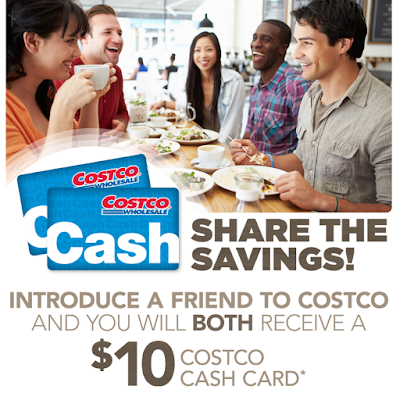 You will both receive a $10 Costco Cash Card.